MINNEAPOLIS — The father and the fiance of an Australian woman shot to death by a Minneapolis police officer responding to her 911 call grieved at a public memorial service Friday night, the same time the family had planned to be on a plane to her wedding. 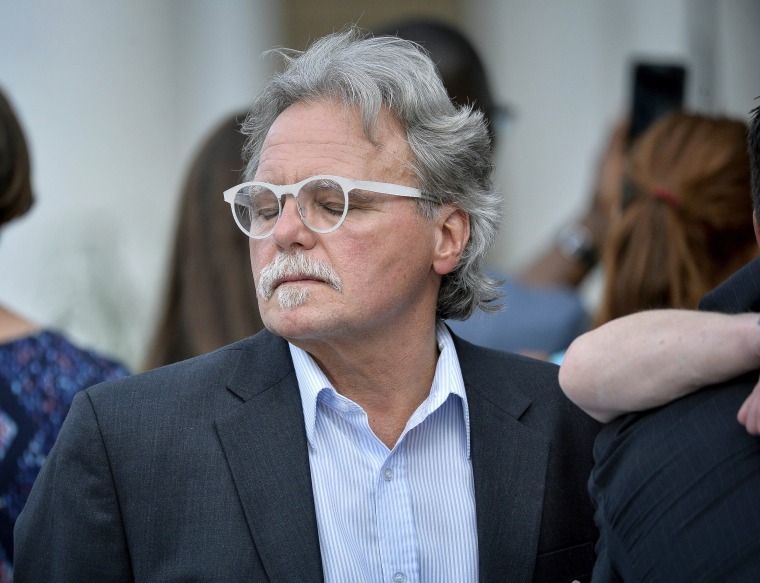 Justine Damond's father, John Ruszczyk, choked back tears as he vowed to find justice for his 40-year-old daughter, whom he described as being "ripped from our arms." "We should be walking down the street smiling and laughing," he said of his first visit to Minneapolis. "But now every step on the foot path is very painful. I feel crushed by sorrow." Hundreds of people, many wearing heart-shaped stickers, attended the memorial service. An Australian flag was displayed prominently on the stage next to Damond's picture. Her fiance, Don Damond, said it "felt like a privilege to love Justine." They were getting married next week in Hawaii, and he pointed out the painful irony that the service — held at a lakefront stage near her home in southwest Minneapolis — coincided with the family's original travel plans. He read some of the uplifting messages she would free-write every morning and called her a "living example of self-mastery." "I have immense gratitude for being the one she chose," Don Damond said. "In Australia, they call it 'you're punching above your weight.' I really had to step up to be at her level." Her family has set up the Justine Damond Social Justice Fund, which will support causes important to her, including those promoting equal treatment for all. As Damond's loved ones mourned their loss, the investigation into her death moved forward. A judge approved a search warrant for investigators to examine the smartphones of two Minneapolis police officers in the shooting. The search warrant application was filed Thursday by an agent with the Minnesota Bureau of Criminal Apprehension. The agent requested permission to download data from the iPhones issued by the Minneapolis Police Department. The application states that the information "may more clearly define" the officers' actions before and after she was killed on July 15. Investigators have said Officer Mohamed Noor shot the 40-year-old woman after she called 911 to report a possible sexual assault near her home. Noor's partner, Officer Matthew Harrity, told investigators a noise startled him just before Damond approached their police SUV. Noor was in the passenger seat and shot Damond through the open driver-side window. Noor has declined to be interviewed by investigators and cannot be compelled to do so. The two officers had not activated their body cameras. Minneapolis police officers are now required to have those cameras on when they respond to calls or make traffic stops. Damond's death led to a shake-up at the top of the Minneapolis Police Department. Police Chief Janee Harteau resigned at the request of Mayor Betsy Hodges, who said the department needed new leadership. Hodges nominated Medaria Arradondo, who had been assistant chief, to become chief. This week a Minneapolis City Council committee unanimously endorsed Arradondo's nomination.